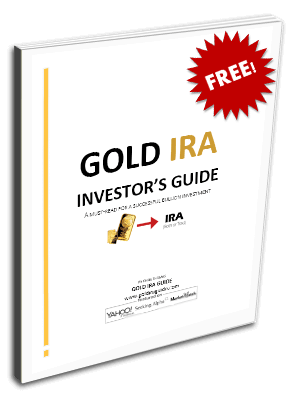 Gold IRA GuideFederal Reserve Safe Havens: Precious Metals a Better Bet than Real Estate? The real estate sector's solid performance in recent years has convinced many investors that it is an attractive alternative to traditional investments. For some, it seems, property is a safer haven than gold and other precious metals. However, there are reasons to believe this might not be the case going forward. Arguably, one rationale stems from the contrasting fortunes of the two asset classes. According to Barron's, the commercial real estate market, for example, “has logged its sixth straight year of double-digit returns.” Gold, meanwhile, has lost more than 40% of its value since hitting its 2011 peak near $1,900 an ounce. The divergence suggests a great deal of good news has been factored into property values, while the opposite hold true for gold and silver prices. As noted in “A Reversal of Fortunes for Precious Metals,” negative sentiment towards gold has reached the kinds of extremes that have historically marked a major turning point. The performance-sentiment disparity is not the only reason to favor the former over the latter. There are developments that will, because of inherent structural differences, have a more pronounced effect on property values than precious metals prices. The most important is the cost and availability of credit. To be sure, real estate markets have in recent years seen an influx of cash buyers, spurred by efforts to boost returns in a low-rate world, as well as moves by wealthy residents of some fast-growing economies to diversify holdings amid difficulties in their home countries. Nevertheless, property markets remain, by and large, dependent on borrowed money. Lenders are amenable to real estate financing because it is tied to tangible assets that have, for the most part, held their value over time. Moreover, if borrowers default, the collateral can be sold to pay off some portion of any loan balance outstanding. Investors and homeowners, meanwhile, can derive immediate benefits from the property they own when they finance the purchase with other people's monehy. They can lease it out to others or use it as a residence or base of operations, without needing to fund the acquisition price out of their own pockets up front. That said, various developments suggest the credit environment will be less accommodating. In December, the Federal Reserve initiated a tightening cycle that will make it harder for some owners to obtain the financing they need. Even if, as some maintain, the Fed is forced to reconsider, lenders will probably not be quick to reverse course. In fact, if the central bank does do an about-face, it will almost certainly be spurred by the onset of a significant downturn, where business activity falters and unemployment rises. That will raise questions about future vacancy rates, affordability and creditworthiness, undermining demand in property markets. cautioned that they have observed looser underwriting standards for CRE loans, including “less-restrictive loan covenants, extended maturities, longer interest-only payment periods, and limited guarantor requirements,” as well as more frequent exceptions to underwriting policies and “insufficient monitoring” of market conditions. Meanwhile, changes in the mortgage market, owing to the Dodd-Frank Wall Street Reform and Consumer Protection Act, which are meant to limit certain high-risk products and features, especially those that enable borrowers to take on bigger commitments than they can afford, will likely also act as a drag. While the reforms surrounding “qualified mortgages” have largely been in effect for the past two years, the prospect that some buyers at the margin, including the growing number of Americans who work for themselves, may not be in a position to make up for shortfalls in demand from those with a steady income, a large down payment, and a rock solid credit rating, is a cause for concern. The likelihood that foreign demand will be less robust than it has been will also have an adverse effect on turnover and prices. It is common knowledge, for example, that wealthy Chinese and Brazilian nationals have played a notable role in boosting many property markets, especially in the U.S. However, global economic and market turbulence and efforts by China and others countries to curtail capital flight will help to undermine this trend. That already appears to be the case in some areas. A recent Wall Street Journal article noted that demand for high-end homes in New York has eased amid the turmoil, while a California news station reported that “Chinese stock market woes were impacting Bay Area real estate market.” The fact that the U.S. government plans to track secret buyers of luxury real estate to combat the flow of “illicit money” certainly won't help. Another factor that will likely lessen the appeal of real estate as an investment is its illiquidity. While property markets have always been more difficult to enter and exit than publicly-traded counterparts, the Fed's December move appears to have set the stage for a reordering of investor priorities. Evidence suggests they are becoming more risk averse and are wary of investments that could leave them stranded amid a more uncertain outlook (for more on this topic, see here and here). In the end, it is likely that investors seeking shelter from the kinds of storms that have recently been unleashed will continue to view both precious metals and real estate as desirable investments. Under current circumstances, however, the former looks like the better bet.